I've got a wonderful Craft Project Central project to share with you. This gorgeous ensemble was designed by Regina Andari. You'll want to check out more of her wonderful creations on her blog, Workin' Out the Inks. This is the time of year when we like to come up with a useful gifts for my customers, neighbors, co-workers, etc. — to thank them for their business, loyalty, and friendship for the past year. 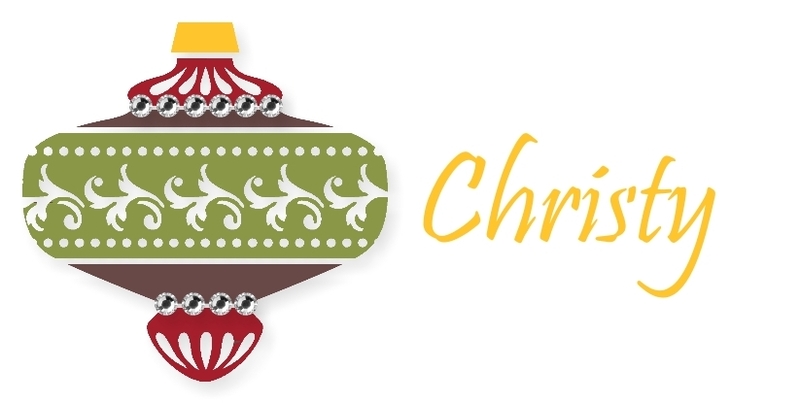 And since we’re all crafters, we want to the gift to give some creative inspiration. 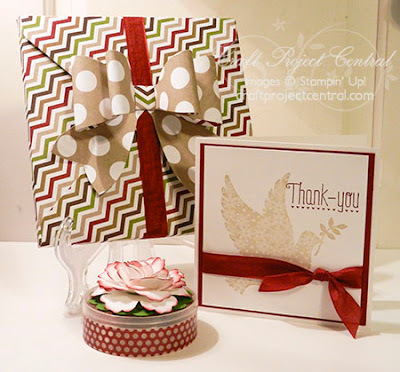 This ensemble features the perfect box to hold a sampling of assorted card stock and designer paper, and the small container filled with an assortment of embellishments is decorated with Washi Tape and a 3-D floral topper. Of course, this project wouldn’t be complete without a greeting card.